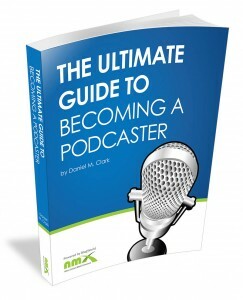 Get The Ultimate Guide to Becoming a Podcaster here (direct PDF download). I’ve been writing articles for NMX for a while now, and they dig my style. When they had the idea to publish a podcasting book in their Ultimate Guide series, I was asked to write it. How could I turn it down? Pretty comprehensive, yes? Go download a copy of it right now, I think you’ll be glad you did. If not, I’ll cheerfully refund your money, no questions asked. Interested in attending an upcoming show? Learn more about it right here. Hi Daniel or webmaster. This issue might be local to me, but I clicked on the link for the book download and it goes the 2015 conference page, but immediately forwards to another page and I cannot stop it in the page for the conference. The forward is some sort of BS for "Is this your domain?" and I would like to read your book.